Custom P.O.N.G. (#10043) The P.O.N.G. model rocket kit uses six fins, two pressure-sensitive large decal sheets, and a durable nose cone. It is returned to earth by a 12″ parachute. 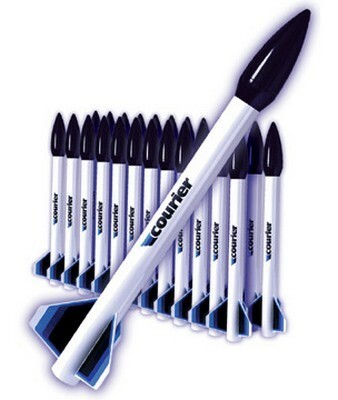 This rocket will shoot up to 800 feet on a C6-5 motor. 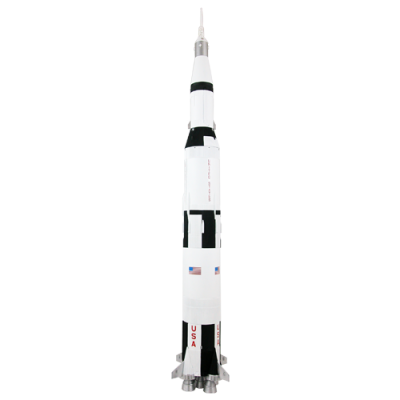 Custom Nomad Model Rocket (#10054) Deep space satellite camera. 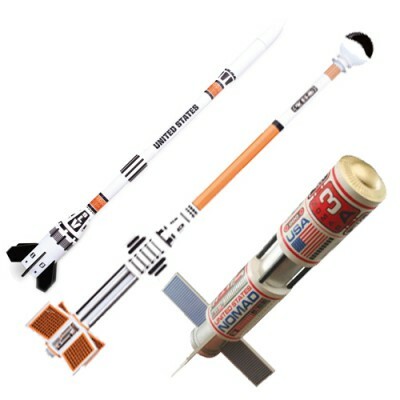 Vac-u-form plastic nose cone, laser-cut balsa fins, and 12″ parachute. Self-adhesive decal sheet and quick-release engine mount. Flies over 750 feet. Custom S.L.V. 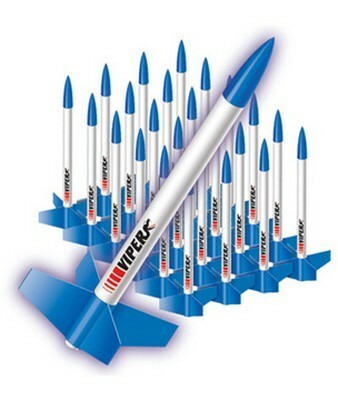 Model Rocket (#10044) Satellite launch vehicle. Impressive, slow liftoffs that look so real. 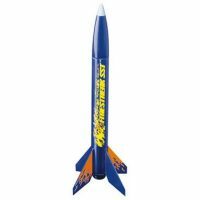 Features injection-molded plastic nose cone, six die-cut balsa fins, and 12” parachute recovery. Self-adhesive decals. Flights of over 750 feet. Flights of over 800 feet can be obtained on a C6-5 motor.